All Hail the Stoner Who Unwittingly Saved a ‘Chubby Tiger’A Texas woman entered an abandoned house to get high. Instead, she found a tiger. Border Communities Are Rising Up Against Trump’s WallPeople closest to the border are among those most opposed to the wall. A Border Patrol Agent in Texas Killed at Least 4 Women. Here’s What to Know.Juan David Ortiz has been charged with murder for his suspected role in four killings. Texas’s Death-Penalty System Is a Travesty. Joseph Garcia Is Proof.The death penalty in America is marked by its racism and ineptitude. 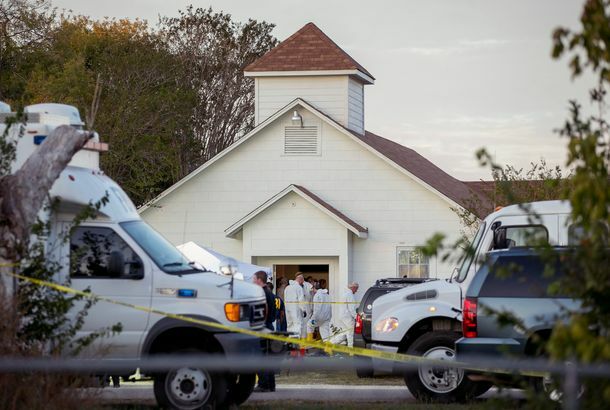 In Texas on Tuesday, a man will be killed in one of its more absurd applications. 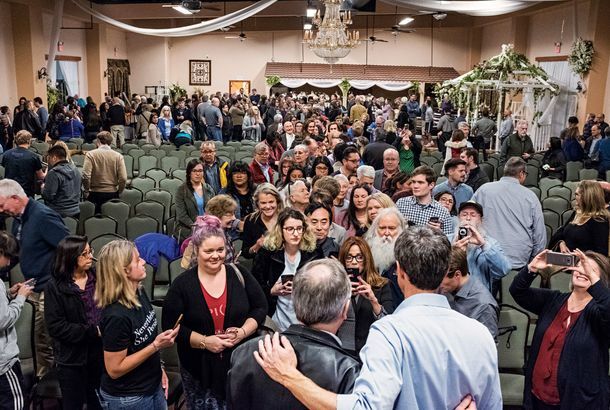 Seems Like Everyone Is Thirsty for More BetoHe lost to Ted Cruz but his fans are ready for more. I Just Want This 77-Year-Old Beto Voter to Be HappyShe broke down in tears of pride after seeing O’Rourke at the polls in El Paso. Trump Administration Revoking Passports and Deporting Hispanic CitizensIn another example of the administration’s animus towards Hispanics, officials are forcing U.S. citizens to prove the legitimacy of their births. Texas GOP Succeeds in Making Beto O’Rourke Look Extremely Cool and Also HotNot that it takes much when you’re running against Ted Cruz. Sheriff’s Deputy Sexually Abused Undocumented Woman’s 4-Year-Old Child: ReportOfficials say there may be other victims. Mother of School-Shooting Victim: Meeting Trump Was ‘Like Talking to a Toddler’Rhonda Hart, whose 14-year-old daughter was killed in a school shooting last week, said Trump “kept mentioning” arming teachers. Border Patrol Agent Shoots and Kills Unarmed Migrant WomanFederal officials say the 20-year-old was part of a group attacking the agent, but a witness disputes that claim. Rafael ‘Ted’ Cruz Mocks Dem Opponent for Changing First NameThe bullied has become the bully. Server Quits on the Spot After Restaurant Boots Customer for ‘F*ck Trump’ ShirtAn exciting brunch for some Texas restaurant-goers yesterday. Trump’s Job Approval Is Underwater in 18 States He Carried in 2016A GOP president who can’t break 40 percent approval in Texas is in trouble. Watch 40,000 Pounds of ‘Molten Guacamole’ Burn on a Texas HighwayA Mexican delivery truck suddenly burst into flames. Texas Congressman Accused of Sexual Harassment Won’t Seek ReelectionMore time to wear his ducky PJs. 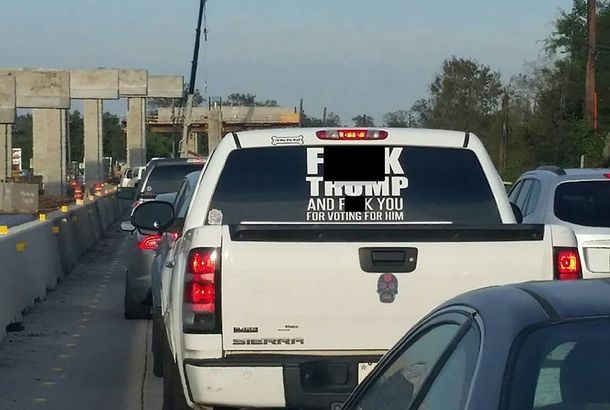 This Profane Anti-Trump Bumper Sticker Is Terrorizing a Texas TownThe local sheriff has sounded the alarm.